Highly skilled: There are too many highly skilled people and not enough jobs for these people to fill. Qualified graduates: Many qualified graduates find themselves without work, because the job market does not need them. Increased education: Increase education such as graduate degrees has become more necessary when getting jobs, because college degrees are becoming very common and therefore less valuable. Job requirements: The job requirements for companies have become more extensive in order to differentiate between recent graduates. Company policies: Company policies usually require new employees to have ample experience when coming on board. Internship experience: Internship experience is one of the most common requirements for new graduates looking for work. Job field: The job fields that many graduates are seeking jobs in already have enough workers. Working world: The working world is hard to enter as a graduate when you do not have a unique and extensive resume. Unemployment problem: The unemployment problem for recent graduates is growing because more people are graduating and there are less jobs becoming available. 1. What is the “chicken and egg” issue that Yves explains in her talk relating to the working world and its productivity? 2. How can we make people more productive in the workplace and make them want to cooperate? 3. What does Yves explain as the smart simplicity approach based on simple rules? What are these simple rules? 4. What is the flaw in management that causes companies to become too complex and lose productivity? 5. How is it more effective to fight within companies against complexity as opposed to simply fighting against competitors? Many college graduates who are ______ _______ for jobs in their preferred fields are finding themselves without work, because there are not enough jobs to go around. The main problem is that young adults are being told how important a college degree is, yet in the end, there are too many people with this degree. A good way to fix this problem would be to send people to technical schools in order to fill positions that need to be filled. Firstly, _________ _________ are having trouble getting into the _______ _____, because there are not enough jobs for these qualified people to go around. Many graduates are qualified in specific, popular ___ ______ that have too many people to being with. Because of this, _________ _________ is beginning to be required for these jobs. 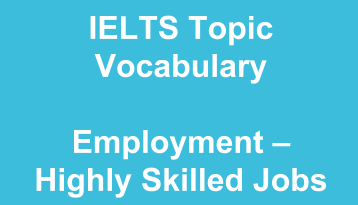 In order to combat this problem, _______ ________ are becoming more strict and the ___ ____________ now include __________ __________ in order to get the job. This makes it more difficult for these highly skilled graduates to get jobs. Secondly, in order to fix the ____________ _______ for recent graduates, we must try and create schooling other than college that will allow students to get more specialized training in fields where employment is needed such as computer systems and technology. By creating and encouraging these schools, we will be able to provide employment for people who are qualified and ready for work. This will increase employment among recent graduates. In conclusion, recent graduates are unable to find work because there are not enough jobs in the fields they are skilled in. Also, this is causing jobs in these fields to be even harder to get, because requirements are becoming more extensive. In order to fix this problem, we must create and encourage specialized schooling to prepare for the workplace.